With spring coming many people are in the mood to be outdoors and they are considering their gardens and planting fruit trees. Naturally a common question that quickly follows is: when is the ideal time to plant fruit trees? Planting a fruit tree at the right time of year and under the best conditions possible will give your tree the greatest chance of survival and production of delicious edible fruit. Before purchasing a tree take into consideration the timing. If you have a fruit tree planted in a 5 gallon container or larger, or if it has a root ball wrapped in burlap, and it has a sufficient amount of soil protecting the root system then it can be planted at nearly any time of the year. The heat of summer is not an ideal time to plant fruit trees as the extreme hot and dry conditions can be stressful for newly planted trees. Bare root trees have no soil attached to the root system. 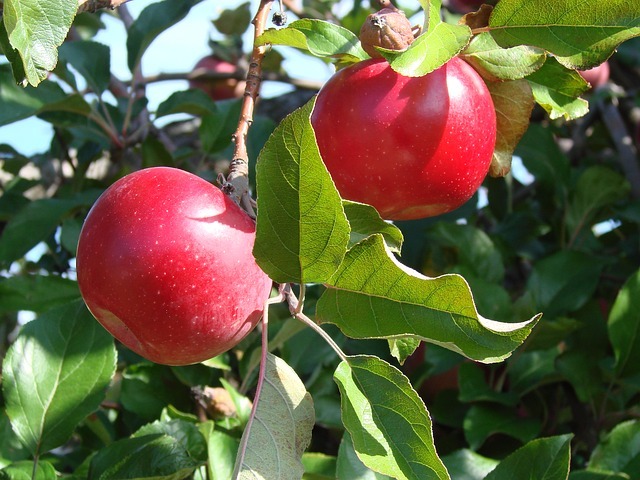 If you have a fruit tree with little soil (smaller than a 5 gallon container) or one that is bare-rooted, you will want to plant it when the tree is still in its dormant state, typically late winter or early spring if you live in a cold climate. If you live in a warm climate you can plant the tree at any time of the year. It is important to plant bare root trees promptly after getting them home. Do not allow the roots to become dry. The bare root fruit tree should be kept in a cool location with moist soil, sawdust or sand until it can be planted in the ground. Planting trees in spring allows the tree to become established before the cold winter months hit. When planting fruit trees in spring, wait for the ground to thaw and dry out enough to work with. The soil should not stick together when squeezed but should crumble. The best planting condition is a cool overcast day, avoiding rainy days as well as hot and dry conditions.